The Nigerian civil war is often looked at through a binary lens: The East versus the rest of Nigeria and good versus evil, depending on who is telling the story. There is hardly ever a dispassionate commentary because it is so emotional and traumatic, and the narrators are invested in their story. There has not been a shortage of narrative; by my own count there are close to one hundred books on the subject of Biafra’s aborted secession. I was a child when the war broke. I remember the feeling of fear, foreboding and a relentless loneliness. Alone with my little brother in Benin City, I thought of war as the end of the world as I knew it. The headmaster of our primary school called an assembly and told us that we were at war. I wet my shorts because I thought he meant we were all going to die. I did not want to die without seeing my parents again. The Biafrans were the rebel forces and, believe it or not, they fought with heart. For a period they occupied Benin City where we lived and I remember the sound of gun shots, shuttered houses and the waiting, for what never came for us. I missed my father. He was a policeman, part of Nigeria’s highly trained elite Mobile Police Force. The job of the force was to occupy “liberated” territories or overwhelm protesters in areas of unrest. The men of this force were very good at what they did. They were trained to maim and kill and saw combat often. As a little boy, I lived in fear of losing my dad during combat. My dad was always leaving and staying away from the home for long stretches of time. This time, during the early stages of the war, my dad and his team mates were in Asaba and the Biafrans ambushed them. They beat him up and broke his bones. But he escaped and lived to tell the story. Up until his death he would always tell that story with respect in his eyes. The Biafrans were feisty fighters. My mother was also away in the village burying her father when the war came even as my dad was at war. I was left alone with my little brother in the city because we were of school age and our parents did not want us to miss school. So we stayed with a relative. My mother was worried about us. We were caught in the war in this city that had just been occupied by rebel forces and she fretted about seeing us alive again. Our relative smuggled us out of the city in a mammy wagon and we ended up in our village. I remember that day quite vividly because it was a market day. Someone must have spotted us at the motor park and run ahead to tell my mother the good news. We saw her running towards us, running and falling, running and falling. She grabbed us and held on to us without a word. She kept grinning and it is hard to put in words the joy on her face. Our dad joined us later. One morning he came riding in in his motorcycle using just one good foot. He was so broken he had to be helped out of the motorcycle. My dad was a strong warrior. Like the Biafrans. Right after the war, I started secondary school. The Red Cross came to our school and determined that we had been traumatized by the war and needed sustenance and support. We had just survived a war, true, it was traumatizing, yes, but nowhere near what children in Eastern Nigeria had endured. I was a child though, always hungry and since there was a promise of food I did not complain that the Red Cross was exaggerating my condition. They brought us wheat, dried cod aka stock fish, aka oporoko, aka panla, and powdered milk that curiously came in sacks. We tried to do many things with the wheat but it was a poor substitute for garri and yam flour. The dried cod was so hard they ruined our teeth and each time we used the milk we made a mad dash to the latrines. We found out that we were lactose-intolerant. The war ended but the war continued. When I think of Biafra, I think of the many men of the barracks – Igbo – who went home to the East and never came back. I was particularly close to one as a child and there are days I still wonder whatever happened to him. I remember the bombs and household names like Carl Gustav Von Rosen, Joseph Achuzia, Brigadier Benjamin Adekunle, the Black Scorpion, etc. I remember the songs of the time, especially those of Celestine Ukwu and Rex Jim Lawson. I play the songs and they take me back to an important part of my life and our shared history. The most traumatic images for me are of children like me with distended stomachs. We knew of kwashiorkor before we studied it in the classrooms. Many unspeakable things happened during the war. It was in many ways a turkey shoot of the Igbo by the Federal side, and women and children bore the brunt of the hell. However, minority ethnic groups like mine got caught in the middle of the fight. Sometimes when we were reluctant to join the fray we caught hell – from either or both sides. I think of the atrocities of the rebel and Federal soldiers in the old Midwest region – from Benin City to Asaba – atrocities that still hurt to this day, especially the massacre of the men of Asaba. Google it. We need a real, well-funded museum dedicated to that war. The other day I met a 35-year old Nigerian man who told me he had never heard of Biafra. He is Igbo. I was traumatized by this. Hundreds of thousands of Nigerians lost their lives needlessly during this war. How do you forget an annihilation? There are no credible museums to record this collective trauma and no attempt by successive regimes to remind Nigerians of a time when our country went mad. History is important. When Nigeria erased history as a compulsory part of the curriculum in the classrooms, they instituted amnesia in our consciousness. We are a people that have been forced to forget the past. This is why every day is a repeat of the past. Because those who do not know their history always forget their past. Nigerians are in no danger of remembering their past. We have no history, says our rulers. But as we see, Biafra lives in the hearts and minds of the children of those who lived and died for a dream deferred. 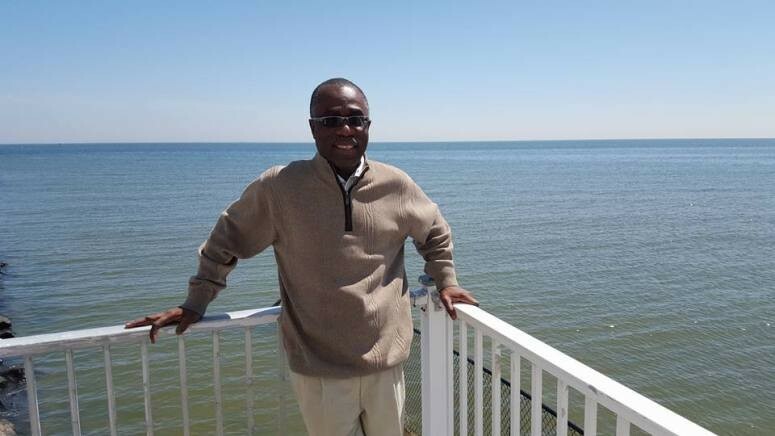 Ikhide Ikhiloa is a Writer, Critic, Political Analyst and School Administrator. He lives in the United States of America with his family. Vivian was a Goldman Sachs Scholar at the Enterprises Development Center of the Pan Atlantic University, Lagos State, Nigeria. She is currently an alumnus of the Cherie Blair Mentoring Women in Business Program. Vivian is an Interior Decorator by profession but in February 2014, the muse found her and she started writing. In 2015, she participated in the Writivism Creative Writing Workshop in Lagos, Nigeria. Her short story, A BALL OF THREAD, was long-listed for the Writivism Short Story Competition and published in Roses for Betty, the 2015 Writivism Anthology. In March 2016, she participated in the Writivism creative non-fiction workshop in Accra, Ghana. Her piece, A Long Way From Home, has been short-listed for the Koffi Addo Prize for Creative non-Fiction. She has also been published in The New Black Magazine, Afridiaspora, Olisa TV, Sahara Reporters, Premium Times Blogs and My Mind Snaps. Biafran Children, A Gathering of Survivors.